A recent addition to the Museum collection of badges, etc. 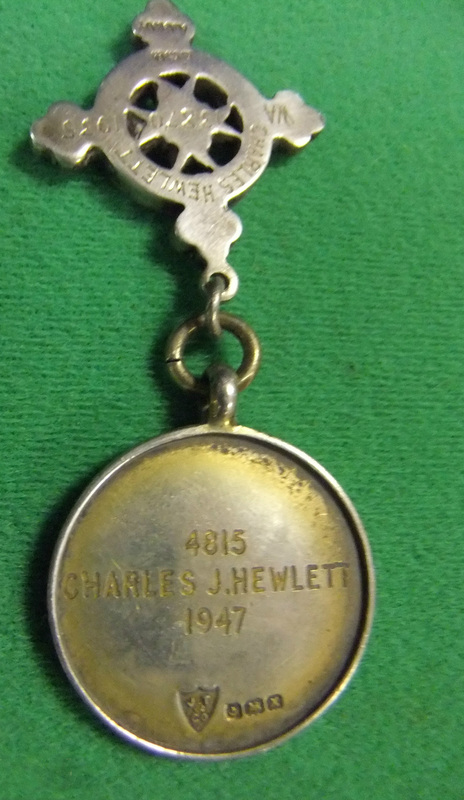 is a Great Western Railway silver medallion issued to Charles Hewlett in 1947 in recognition of fifteen years’ service to the railway’s St. John’s Ambulance Service. Charles (known locally as Charlie) had a long career with the GWR in South Wales; he was the last Shed Master at Pontypool Road before it closed. Around 1940-41 Charlie administered first aid to a man and woman in Oxford Street, Griffithstown who had had their throats cut by the woman’s husband after he discovered a case of infidelity. In spite of Charlie’s first aid the pair later succumbed to their injuries. 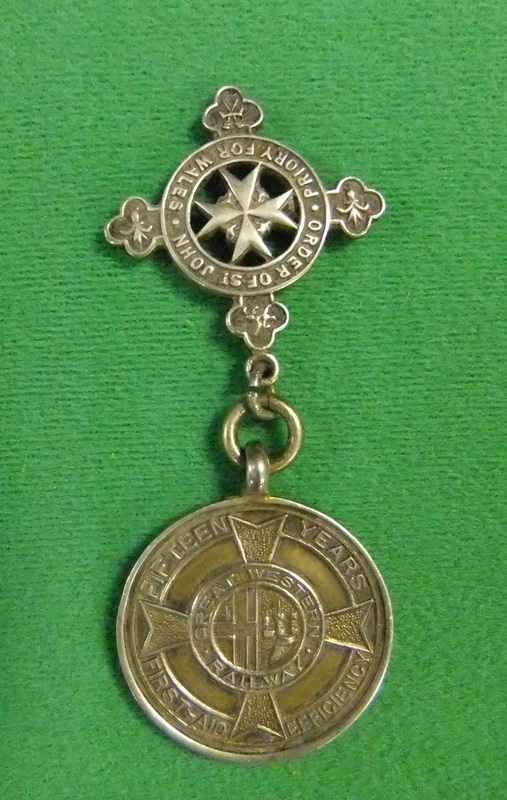 Charlie was awarded a St. John’s Ambulance gold medal following the incident. The medal has been retained by Charlie’s nephew but we now have the 15 year medallion on display. The murderer incidentally was sentenced ‘at his Majesty’s pleasure’ but on the death of King George VI he was released from prison.